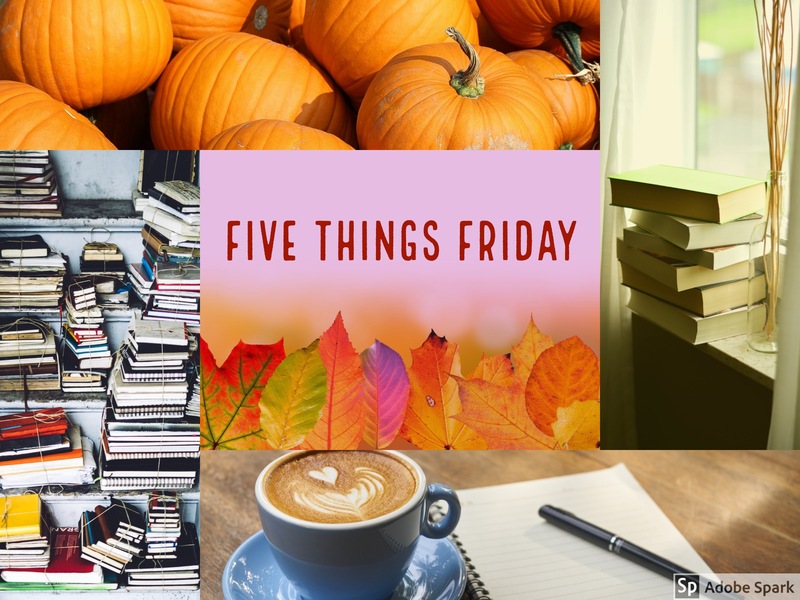 Welcome to another edition of Five Things Friday. I know I’m not the only one who had a difficult week, so I’d like to share some of my more joyful and bookish moments. I’ve always like Bruce Springsteen but didn’t consider myself a serious fan. Until now. Technically I finished this last weekend, and I haven’t gotten into anything nearly as good since then. It’s definitely one of the best celebrity memoirs I’ve ever encountered. 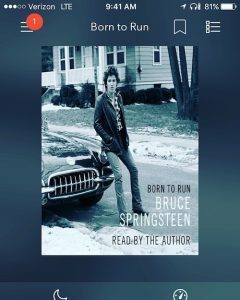 I listened to the audio book, which Bruce reads, and it was a truly wonderful experience. Tuesday night I attended a lecture on the topic of Nature vs. Nurture. One of the subjects address was heredity of political beliefs. 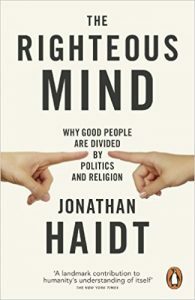 The Righteous Mind by Jonathan Haidt was mentioned several times. When I came home I put it on hold through Overdrive. I’m in the middle of a big project which involves sorting through a large amount of artifacts from my childhood. 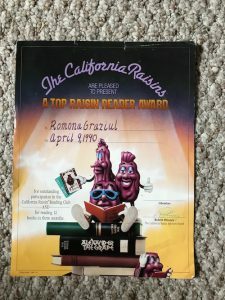 There’s quite a bit of evidence that my love of reading has been lifelong, and this certificate is my favorite. I’m currently taking a writing class and my instructor brings her dog. 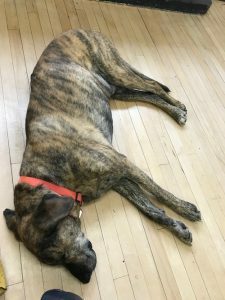 He’s a sweet, giant mixed breed, and I find it comforting to have him in the room. There are several books coming out this month that I’m looking forward to: Turtle’s All The Way Down by John Green, Manhattan Beach by Jennifer Egan, Fresh Complain by Jefferey Eugenides, and a collection of short stories by beloved actor Tom Hanks titled Uncommon Type: Some Stories. What did you read this week? 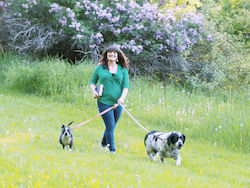 Where did you find moments of joy in a difficult week?